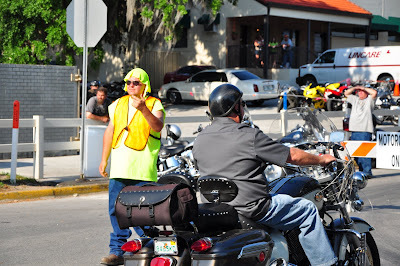 Plowed Clouds: My wonderful experience at the Leesburg Bikefest 2010! 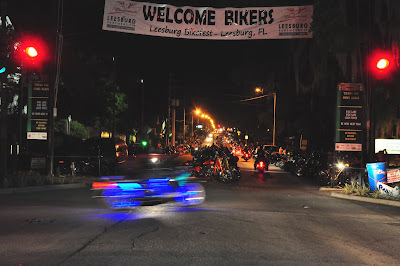 Last weekend I attended the 14th Annual Leesburg Bikefest, and was glad that it wasn't scheduled a week later since it would have been too hot to really enjoy it! 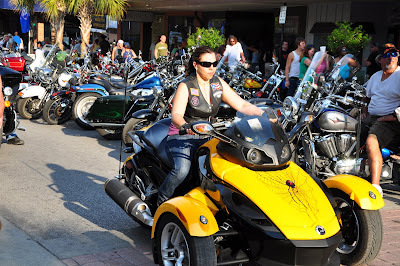 Even though I'm not a biker chick and never rode on a Harley, I thought this would be a good opportunity to photograph, as well as learn more about photographing people and events. 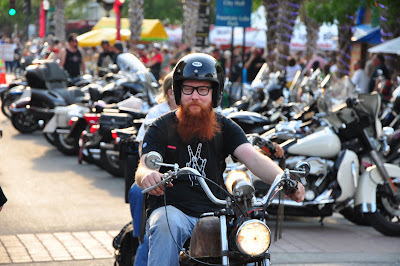 So I grabbed my D90 and headed to the event, not knowing what to really expect since I've never been to a biker event before. 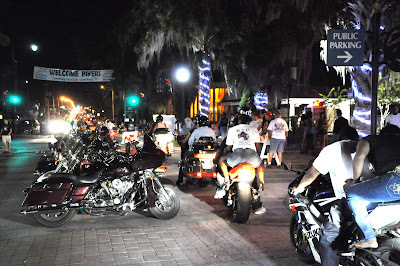 I was overwhelmed by the sheer number of bikers that attended! 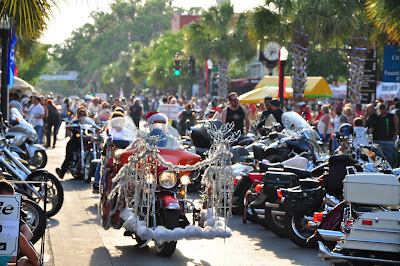 This was the view on Saturday afternoon looking west on Main Street. I call this the River of Chrome cause that's the most accurate description of how it looked! This guy whose job was to direct traffic had to stand out in the sun all day, but at least he had fun doing it! The cloth on the head was a pretty good idea too. 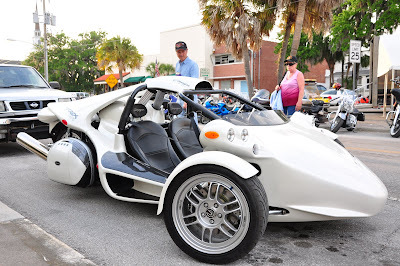 This event was pulled off with no hitches. The weather was perfect.....a little warm, but certainly not hot like this weekend! There were no fatalities and everyone was extremely well behaved, yet seemed to be having a good time. This couple was very photogenic and I appreciated their willingness to pose so graciously and without even having to ask them! 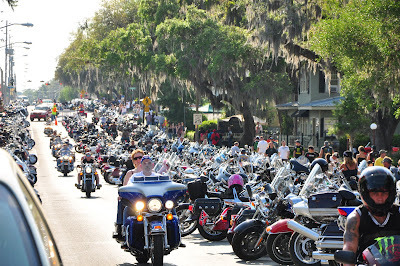 I do know one thing for sure now and that is that the Leesburg Bikefest is a BIG deal! I never knew it was possible to cram so many people into the downtown. 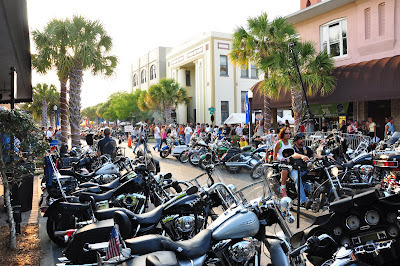 It was literally wall to wall people and bikes, which made it a bit of a challenge to even just have enough room to hold up the camera. But the best part about this event was that everyone was really enjoying themselves and obviously it was contagious because I had a really good time too. It was a lot of fun to see all the ways the people were expressing themselves. This guy was doing everything he could to try to keep from smiling....but I guess you can call that a smile anyway, and I caught it! Even the police seemed to be enjoying themselves and they were even a bit relaxed..... but from the overall behaviour of the crowd, was perfectly fine and I was happy to see! 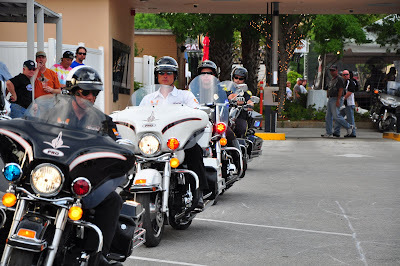 Speaking of the police.....some of them even had bikes and got to demonstrate their fine biking skills for the crowd! 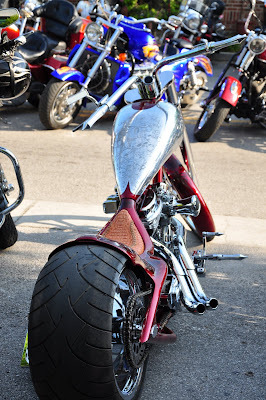 There were many varieties of bikes represented too, not just Harleys either. 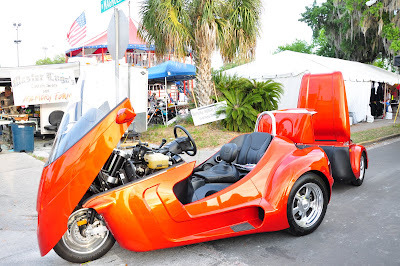 Some could hardly even be called bikes but WHAT do you call them? 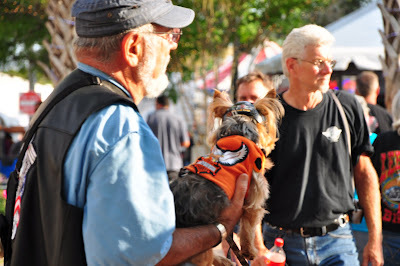 Even this cute little doggie got to experience the Bikefest. Plus how many dogs are lucky enough to have their very own Harley jacket! 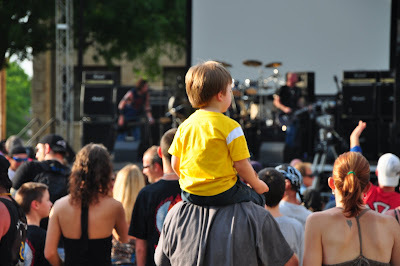 A boy sits on his father's shoulders to watch the band Hypersona play before Warrant blew the crowd away after sundown. By sundown things kept getting even more interesting! 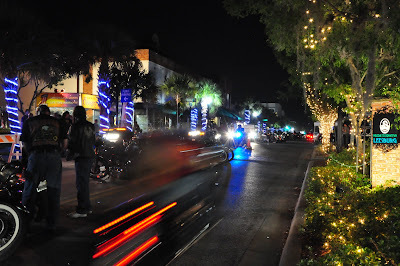 This was the view looking east on Main Street as I caught some cool bike light trails! I really love music so it was especially fun to have the opportunity to get live band shots. 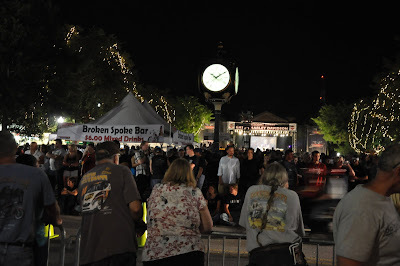 But because of the dense crowd there was no room to set up my tripod, plus I was a thousand feet from the stage, so needless to say most of the night time band photos were blurry. However, I was lucky enough to have a few turn out! 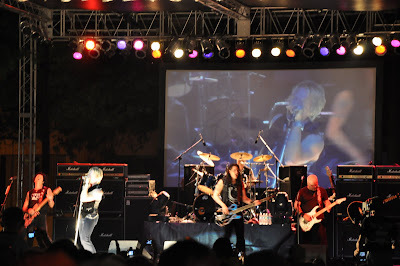 This was the band Warrant which gave a top notch, high energy performance....even though I don't really care for their songs that much. 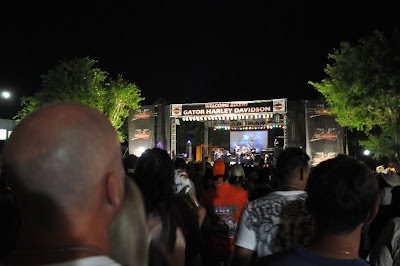 But nevertheless the crowd really enjoyed it, and anyway it was still fun to shoot! This photo shows how far back I had to stand! 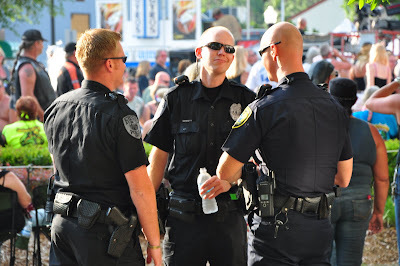 By the time I finished watching Warrant perform I wondered around a bit more, still enjoying myself but starting to get a little weary from all the excitement of the long day. .....And it looks like a few others were starting to go home too. 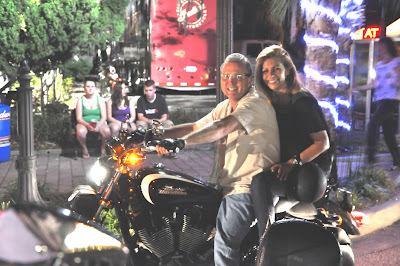 All in all, it was a wonderful event and turned out to be a lot more fun than I had ever anticipated. 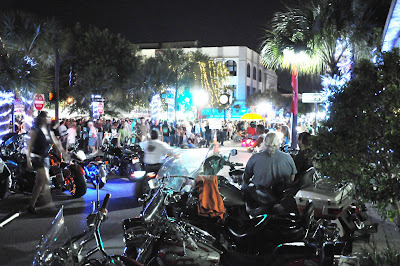 Now I can't wait until the 2011 Leesburg Bikefest! 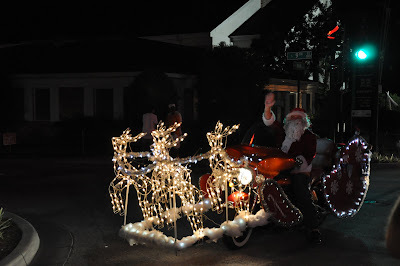 Until then......I will find some more fun events to shoot and expand my horizons! 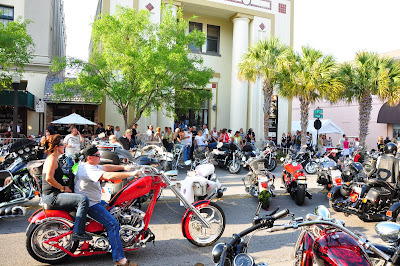 Labels: "leesburg bikefest 2010" "bike festival" "photo journal" "photojournalism" "stacy young" "downtown leesburg" "leesburg florida event"